Why I Uber On: The Reality of a Rideshare Driver | I Drive S.F. Were you a cab driver who was hired to drive Uber taxi for 95% of the fare, then persuaded to partner on a special car from their dealer, and drive UBERX then paid 95% of the fares and then 80% and then 75% and then lowered the $ per mile while adding a dollar or so and not giving any of that and introducing pools that pay 40% ? Seems on the day the car was purchased would cement the contract partner. Partner dot UBER dot COM, in business partnership like corporations must be filed at the State. I recently lost my job and have had to come to the reality that I need to sell my home to pay back debt and start over. I’m lucky in a sense that I’m only 27 and my property has risen in value by quite a lot and I’ll make a big profit on it, allowing me to get that fresh start. However, I have become an Uber here in one of the new Canadian markets. My city is severely underserved by taxis so there is a high demand for Uber’s. This is for university students who are going to the bar, mostly. I completely relate to the addiction that comes from driving as I’ve had some really amazing conversations and met some really enlightened and cool people. It fills a social void in my life that I’ve always had trouble with due to anxiety and panic over socializing in public. I can also relate to your feelings on the wages earned. It became very apparent that I wouldn’t be able to sustain myself solely on Uber alone, which is slightly saddening, because I would love to just drive for 40 hours a week and sustain the entrepreneurial spirit I have while I work on other projects in my spare time. I think as long as there is profits from driving, and Uber demand keeps up in my area, I will continue driving part time no matter where I work. It seems like here in Canada it’s a bit of a better situation, with slightly higher rates at the moment. Good article, well written, thanks. Ridesharing does not equal taxiservice… you have all been taken for fools, to get involved in this. If the rules for being af taxidriver/company, are just remotely similar to the rules in Denmark, the app is illegal to use for taxidriving services. Uber has just arrived in Copenhagen, and the transportation minister has asked the police to investigate so it can be deemed illegal. To transport people in Denmark you have to be licensed, take a course, no criminal record, no criminal record involving children, pay your tax and soforth. The car must have a certain standard (most are mercedes), insurance cover for passengers (wich is very pricey), sensors that register when you have customers in your taxi (for tax purposes) and the number of taxis within the council is determinated by the council, as well as the prices, so that it is possible to make a decent living. If anybody with a car, can pretend to be a taxidriver, nobody will be able to make a decent living, and with the lack of screening of the drivers (dont think they are thorough), we will see and have already seen, a rise in a assaults, detouring and scams from the drivers. Ridesharing is taking a person along, if you yourself are going to a specific destination, and sharing the cost of petrol. So howcome the surge pricing … petrol does not become more expensive, just because its snowing, or its a busy saturday night. So get it !!! you are not a taxidriver, just pretending, and eventually it will be illegal. By the way… have you remembered to pay your taxes ? Hello, your post really struck home because I was in a similar position. I was let go from my job in November and denied unemployment because my employer said I quit instead of being fired. Despite being employed for 2.5 years and being consistently responsible on bills, I was suddenly under the gun and in very real danger of losing my home. 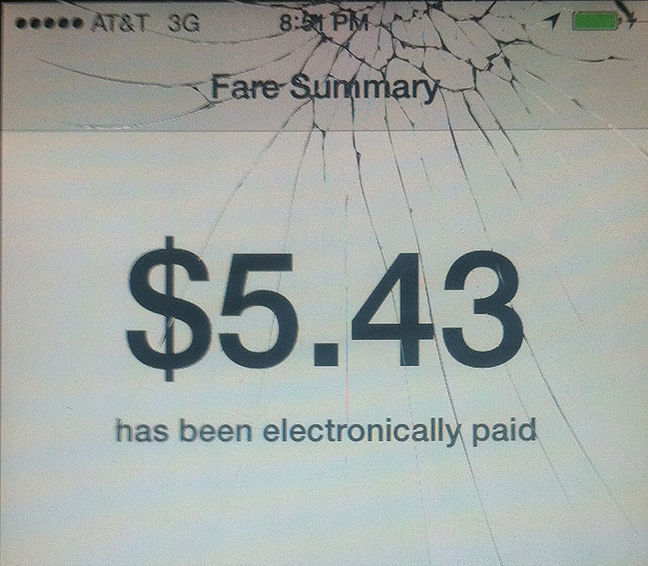 Extraordinary times call for extraordinary measures, and I to took up rideshare driving to pay bills. Due to UBER’s 500 dollar sign on bonus, I was able to make my January rent, (although 14 days late. The landlord was understanding.) I was able to put bills on CC’s also. But I understand your frustrations. I’m tracking my expenses, miles, and income and while I think that I’m still making money at it, it’s not an overwhelming amount and car maintenance is going to be coming up the wire. so basically you saying that Uber saved your life when you lost your job…. and now a year later it is no longer saving your life. You got to give it tiny bit of credit, no? Where would you be now if Uber didn’t come along. I am not saying this to defend their price drops, but you know. I was in similar situation like you and in fear of eviction, and then found out about Uber and week later I was paying rent. I am pretty grateful. From all the minimal wage jobs out there, I still prefer this one, though I am actually applying at TJs. Really it is just a crutch to tie you (barely) over, driving will not be a profession in the future. I think the way you feel is how cab drivers felt about us drivers, but now the tables are kind of turned. Cab companies are apparently hiring since interestingly some of their business is up (flywheel business). Maybe look into it?